All our auto glass work is backed by a lifetime warranty against manufacturer defects, leaks and workmanship. Let our auto glass technician come to your premises anywhere in King City free of charge! 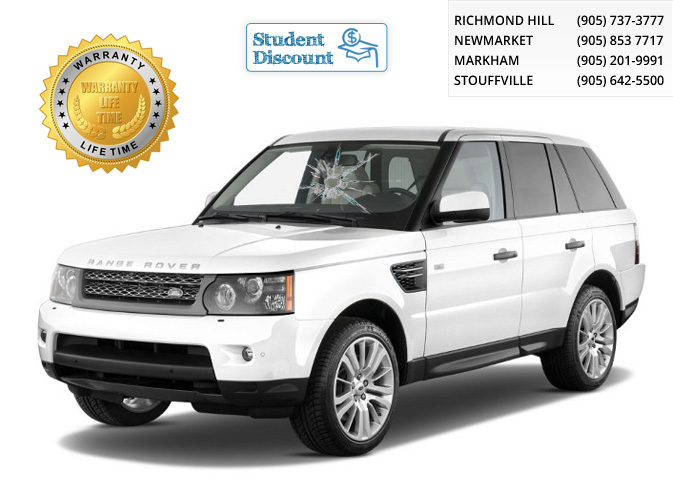 We offer the lowest auto glass replacement prices in King City Ontario. Call us for a quick quote. We pay up to 100% of your Deductible to residents of King City Ontario. Therefore the auto glass repair might be free! We service all vehicle models, including trucks, SUV's, vans, pickup trucks, and cars. insurance company so you dont have to. We pay up to 100% deductible! With our free mobile auto glass service anywhere in King City Ontario, there is no reason for you to come to our auto glass shop. Our auto glass technician will drive to your premises in King City and replace your auto glass on the spot. This will save you time and money and its on us. How Long Does an Auto Glass Replacement Take? An auto glass replacement in King City usually takes about 45 minutes. How Much Does an Auto Glass Replacement Cost? The price of the auto glass replacement will depend on the vehicle make and model. We guarantee that our price will be lower than our competitors, so we encourage you to call a few of our competitors and find out for yourself! We offer residents of the following cities in Ontario with complete auto glass services, including our free mobile auto glass service.